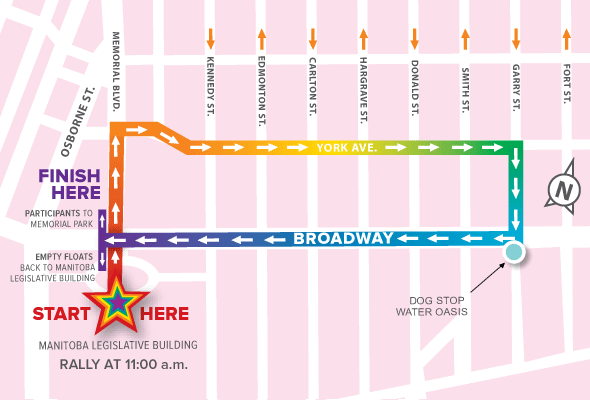 Be sure to join us for the Pride Parade again this year! We had so much fun last year. The parade starts at 12:00pm on Sunday, June 5th. We are registered as a walking group so they will give us a designated start area beside The Leg and we’ll need to all be there at 11:30-11:45am. If you can’t make it by then, join us en route. We’ll post our start location on here when we have it. Be sure to wear your rainbow best. Last year a bunch of us stayed after for a picnic on the lawn of The Leg. We want to do that again this year and you’re welcome to join us!